Your child’s birthday is coming up and the idea of hosting a party at home is making you nervous, but don’t fret, there’s no need to worry because Dubai is the ultimate birthday party playground! Dubai has a wide variety of venues suitable for hosting birthday parties, many of which offer special packages for birthday parties. There are venues and packages for every budget. Here are a list of on-location birthday party venues. 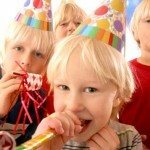 Click here for a list of birthday party entertainers for in-home parties or special locations! Bowling City is the perfect spot for children’s birthday parties. We offer a series of affordable group discount packages, which can be tailored to suit your needs. All of our entertainment options are available and in some branches we can set aside the entire restaurant for your party. If you know which branch you would like for the party, contact it directly. Come and join the fun! With so much entertainment and a variety of dining options to choose from, Dubai Bowling Center is the perfect place to celebrate birthdays at. We cater for awesome Teens birthday parties. Come and check our Party Fun room designed especially for kids and book early for your best satisfaction or call +971 4 339 1010. Ultra Package: Cosmic Bowling for teens. The ultimate birthday party with disco lights, all-request music, fog machine and back lighting. An AWESOME package! If you are one of those people who like to create kids birthday parties that are special and unique then you should definitely consider Switch Bowling as a birthday place for your kid. Package includes: invitation cards, 1 hour bowling, Meal (Pizza or Nuggets) + French Fries + Soft Drinks, goody bags (Sweets inside), and cake to be provided by parents. Optional extras: face Painting, magician, character (Tom, Jerry, Hello Kity), host games and magic shows. Kids will enjoy a huge soft play area, laser games, arts &crafts, Pizza Making, kids gym, culinary classes and more! Pizza making party package including; pizza making session, drinks, chef hat/party hat, apron, junior pizzaiolo certificates, goody bags, balloons, invitation cards, free pizza voucher. Organise great fun cooking parties for kids. Birthday party package includes pizza, soft beverages, water, birthday cake, pizza rolling, face painting, balloon bending and a fun abra ride to finish! Sinbad’s Kids Club helps with the celebrations. Minimum 10 children per booking, between 3 pm to 5 pm. Throw the ultimate birthday party at one of their three fabulous lounges. Birthday Party Packages available. Package includes Ice Skating (1 hour) OR 3 Rides. Child meals included consisting of sandwich (chicken, veg. or cheese), french fries, chicken nuggets, mini pizza, and drinks. They will add a few decorations like balloons on chairs, but you are also allowed to bring in additional decorations. Additional options (extra cost) A la carte menu for adults, birthday cake, magician and face painting. Catering to all kinds of parties, whether it’s a small family gathering, a party for 100 or a simple BBQ with friends. They can even involve their animals, activities and classes to make your day as special as possible! The Atlantis Kids Club offers the perfect base to plan your party around. Create, play, imagine, and discover in our state of the art facilities. Themed parties and celebrations mixed with adventure and fun in the underwater theatre, creation zone, climbing walls, and command center. All-Kids packages at the Indoor Kartdrome: Marshals, mechanics, safety crews, medical support, timing service, event co-coordinator while helmets, overalls and gloves are provided. Minimum of 10 persons for booking. Laserdrome maximum of 20 at same time in a session. Maximum of 7 at same time out on track. Kids meals option available including: unlimited (refreshments), mini pizza, hamburger, cake and fresh fruits. Bubble Soccer is a twist on the traditional game of soccer, where you will find yourself bouncing off each other and smashing into one another. Two locations in Dubai (Sports City & Al Quoz) plus they can come to you. Party packages available plus catering. It’s unforgettable! Each guest makes a new best friend – a furry friend they keep! They choose it, stuff it, give it a heart filled with their wishes – a Build-A-Bear trademark – and make a personalized birth certificate. After the party they go home, hand in paw, with their new best friend in an exclusive Cub Condo carrying case to begin their adventures together. Ceramic painting available with different birthday package. Each package includes selection of ceramics, paints, brushes, children’s meals, popcorn and drinks. Plenty of fun for children! Indoor soft play area that offers a huge range of games, activities and educational and development classes. The first educational city in the UAE devoted to children between two and fifteen years old where they can investigate, explore, play, discover, and learn about the world in which we live. The City is specially designed for children to interact and discover together in family and school groups. It contains several exhibits and programs on applied sciences, nature, space exploration, human body, local and international culture as well as a kid’s corner and a planetarium. Children’s City café prepares birthday parties. Great party packages including party host, child meals, token cards for games, invitations, goodie bags and more. Additional fun options include bowling and ice skating! Parties held during Sunday to Wednesday require a minimum of 5 children. Parties held during Thursday to Saturday require a minimum of 10 children. Spa Party for girls 4 to 16 years old! Mani-pedis, beads & hair braids, glossy lips and tattoos. Your choice of clown, magician, karaoke, balloons, and cake . Children will be given a project demonstration on how to make the craft item, as well as a briefing on materials & equipment used. The children are then free to begin and have fun creating their new project. There will be an art assistant on hand to guide & advise them when needed, and all completed items will be taken home! Includes a guided tour of the Aquarium & Underwater Zoo, followed by a party in the Birthday Party room. The party can also include snacks, beverages, decorations, invitations, and a Party Host to keep the excitement going. Birthday packages are tailored for groups of between 10 – 25 children & adults and can be held anytime from 10am to 6pm. Birthday party for groups of 15-30 kids at one time. They provide the party games, decorations, a party room, music, greeting from our Dolphin Mascot and a chance to enjoy a picture with the dolphins on your child’s special day. Option extras (at extra cost) include: bouncy castle, pony ride, buggy ride. Additional entertainment arrangements can be organized. Birthday parties are held in the Palm Garden (open lawn & Apartment Club Restaurant). Children menus available. A minimum of 10 children is needed. Bouncy castle and a Designer cake can be arranged at extra cost. There is no venue charge when the food and beverage is provided by them. Can arrange and provide party entertainment. Birthday packages which includes access to EZONE suitable attractions, party food, free 15 dhs cash bonus, Moobase Party Room (max 40 guests capacity), invitation cards, music system, lounge area for parents and customer service supervision. Minimum 10 children. Balloons and cake can be added for extra cost. We design a personalised and unique birthday event, managing all aspects of the day right from the invitations to the entertainment options including, of course, the royal throne for the birthday child. Our birthday planner can also tailor your very own concept to make sure that your children’s birthdays are completely personalised. Flip Out Dubai is one of the best places to celebrate one’s birthday and were also awarded The Best Party Venue in Dubai by Time Out Kids. We take care of all the Fun. Celebrate a special occasion with friends and family at the Let’s Party zone at Fun City. Birthday packages available and includes: Free play in the fun zone, power card, meal, party host, party games with prizes, invitation cards and more (depending on the selected package). Fun Square is located in Time Square Centre and offers 4 birthday packages. Initial package includes invitations, balloons, 2 hours playtime and goodie bags. For an additional cost they can include kids meals, candy floss, face painting, and and prizes. Funky Monkeys Playland invites everyone to visit and explore a one of a kind playland in Dubai where kids will enjoy a huge soft play area,laser games,arts &crafts,Pizza Making,kids gym,culinary classes and more! We have a nicely decorated rooms especially designed for birthday parties like the princess room,Disco room,Laser room and Baking studio…in Funky Monkeys name it we have it! Balloon and flower decorations,styro making plus gift items and the FM party Shop inside the playland! Children’s parties available at the Galleria Ice Rink. After skating, head to Frosty’s cafe, located next to the ice rink, for a bite to eat and drinks, followed by birthday cake! Great for a teen’s birthday. There is a private room available. Food costs are reasonable and they love the music. Offers group packages for returning flyers, however there is no party room but there is a food court nearby in the mall. Groups session get exclusive use of the flight chamber with a personal instructor. There are 2 packages available: 2 to 6 persons for a 30 minute session or 2 to 12 persons for a 60 minute session. At the Jam Jar any occasion is one to paint! Get a party going with unlimited paint, brushes, juices, pizzas, cake, and coffee…the works! And what’s better? Each person gets to take his masterpiece home! Painting Parties require a minimum of 7-day prior booking. Jam Jar can also bring the studio to your house so you can host painting parties at home. Host an amazing party celebration withe the UMBRO Football Academy at Jebel Ali International Centre of Excellence. Treat your child and all their friends to a fun filled afternoon complete with games, excitement and a truly unique experience. Our fully qualified coaches will provide 90 minutes of fun and games for all players. Make this a memorable birthday celebration. Call +971 4 434 1984 or email admin@kadomzdancestudio.com for more info & bookings! Our parties are legendary! From games, food, fun, and space, Kidville has it all for hassle-free parties for kids up to age nine. Choose a birthday party package, a party theme, and any party add-ons to create your perfect party. Try KidZania, a fun-filled, educational and personality development birthday party. Make the best use of your child’s learning age. Packages range between 175 to 300 per child and include party room, party invitations, and a birthday cake. Minimum booking of 12 children. Mini monsters is THE place for parties from 1 year up to 12 years. We have three large, brightly decorated party rooms and the largest indoor soft play area in Dubai, which will surely keep your kids entertained. All parties include food for each child, 2 hosts, soft play and entertainment from our specially trained party hosts! Great food for adults and customised activities are also an option for your Child’s special day. Come see us at Mini monsters we want to make your little ones day the most memorable yet! Celebrate your child’s special day with captivating, age-appropriate games and fun activities, rides, songs, puppets, and more. Your family and guests will enjoy exclusive use of our entire facility. Just pick a date and we’ll help with everything from the invitations and setup to the cake and cleanup. Our goal is to make sure everyone has a blast – parents and children alike! We hold scrapbook birthday parties for girls aged 8-15 years. Scrapbook party is absolutely perfect and Paper Lane will give the party girls a creative and fun-filled time! The party will last 3 hours and the workshop projects are always 1) a fun take-home piece (frame, mini book, cards, or door handle decorations – party girls’ choice) and 2) the best keepsake a birthday girl could hope for – a birthday scrapbook album with a page completed by each of her friends, complete with photos of the party goers. All materials are provided and we offer free cupcakes for the party girls. We also give special pricing if you order a birthday cake from Sweet Lane in any shape and design you like. Fantastic Birthday Parties At Your Doorstep, our packages have been created to offer something for everyone! If you fancy tailor making your own birthday party a list of what we have to offer is below for you to pick and choose from! Whatever your choice, rest assured that we will make your day a very memorable one! We are the UAE’s first neon indoor mini golf for children and an ideal venue to host unique private birthday parties. The Animal Sanctuary is the perfect place to enjoy your special occasion or birthday celebrations. Children of all ages can enjoy a fun birthday party while feeding, petting and learning about our animals. While parents can prepare food or just relax under the veranda leaving our friendly volunteers to help with your party. We can even go so far as to decorate for you before you arrive…The activities we have available include petting & feeding our animals and birds, pony rides, dog walking and even animal racing. Or what about our Petting Zoo Animals coming to your party? The Animal Sanctuary is mobile, we can arrange for a selection of animals to come & join in the fun at your Birthday Party, Celebration or Event. This way you can enjoy petting & learning about the animals in the comfort of your own garden or home. 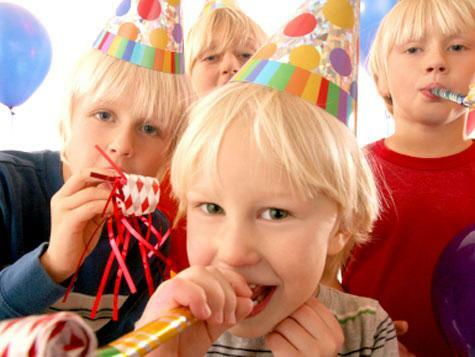 The Wild Bunch Birthday Bash package includes food & drinks, party decorations, games, video coverage and face painting. For children under 10 years old, with a minimum of 20 children. Ski Dubai has private party rooms to accommodate parties of 8 to 25 people. Have fun in the Snow Park with the supplied rental boots, disposable socks, trousers, jackets and helmets for the children. All you need to bring are hats and gloves. Everyone will enjoy the snow cavern, tobogganing and tubing hills, playing in the snow and much more. For that ultra cool party we can arrange a ski or snowboard lesson for your group through our Snow School. Largest and most exhilarating indoor theme park of its kind in the region. With all the great games and exciting rides, it’s the ultimate birthday venue for every child. Choose from three great packages. All packages include: invitations, party room, McDonald’s Happy Meals, decorations, party coordinator, play-cards for unlimited rides and games (time spent playing varies per package). Soccer-mad son or daughter? Give them a birthday to remember, with the ultimate football party! Two and a half hours of football fun in Soccer Circus Dubai and Team Zone. A Private Party Room is sure to be a hit, and we take care of everything. Located within The Children’s Garden Nursery at the Green Community, Dubai Investment Park. Fully organized pool party, use of a safe and shallow pool, themed parties, venue for hire for 2 hours with inflatables, party invites, tables, chairs, goody bags & decorations. The ultimate Birthday Party venue where your child & friends can Go-Kart, Ice Skate, crash around in Bumper Cars, watch 3-D Cinema & have an absolute blast before it’s cake cutting time. Choose & customize your party from a wide choice of 6 party rooms, to give your child the Birthday Party of his dreams … and something that your guests will never forget for years to come. SUPER DOOPER is an edutainment center for children ages 5–15 and their parents. Within our community, kids will explore, learn and innovate through distinctive activities of self expression and imagination. Come join the fun and explore our distinctive activities and workshops. The excitement of Glow-in-the-Dark Mini Golf at its best! Are you ready to play the most challenging blacklit 18-hole miniature golf course around? Enter into a world full of fun and imagination, with “Glow-in-the-Dark” colors & out-of-this world space theme. Birthday Parties are a blast! Have an Out-of-this-World birthday party. For more information, please click here to check out our packages . Your group will have the whole place to yourselves with games, music and fun activities created especially for your birthday kid. Our trained instructors will lead all the fun and The Little Gym team will handle everything from setup to cleanup. For children 1 to 12 years old. Package includes: TLG Invitations, qualified birthday leader plus an assistant, set-up and clean-up, paper goods (plates, forks, cups, napkins), drinks, The Little Gym T-shirt for the Birthday Child, a gift registry (if you open your presents while you’re with us), pizza, and a 2 Hours long party. The perfect venue for Kids and teen Birthday Parties. Offering Computer gaming, console gaming (PS3, Xbox, Wii), Billiard and Foosball tables in addition to 2 arcade racing games. Birthday packages available. Parties at the lazy river or in one of the many restaurants. If you want to give your children a birthday party they’ll talk about all year, treat them to a party at Wild Wadi! There’s tons of fun, unlimited rides and some extra surprises for all ages and sizes. You can have party food and drinks, and even a birthday cake served in your own special section at Wild Wadi. We’ll even provide fun party invitations! A day at Wild Wadi is lots of fun for grown ups too, with rides to enjoy and plenty of places to sit back and relax. Looking for a fantastic birthday cake we’ve got the ultimate list of Dubai expat bakers! Looking to host a birthday party at home? Have a look at our birthday party planners and entertainers! Many of the venues listed in this article will be able to arrange food for you too.